Click HERE to enter the CONTEST and read more to find out the details! I used to enjoy watching the Games at home when I have the time. 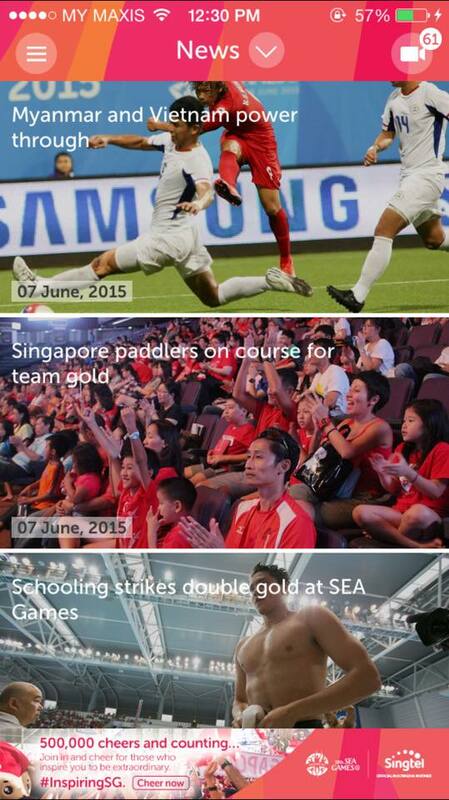 For those who don’t know, the SEA Games returned to Singapore this year! As easy as it is, you just need to turn on the TV and you’ll get the watch all the actions on the square black box. Fast forward to many many years later, I can now watch it on my mobile device! Thanks to the SEA Games TV app which is packed with various features I now get the relive the moments of watching the Games but in a more intriguing experience. 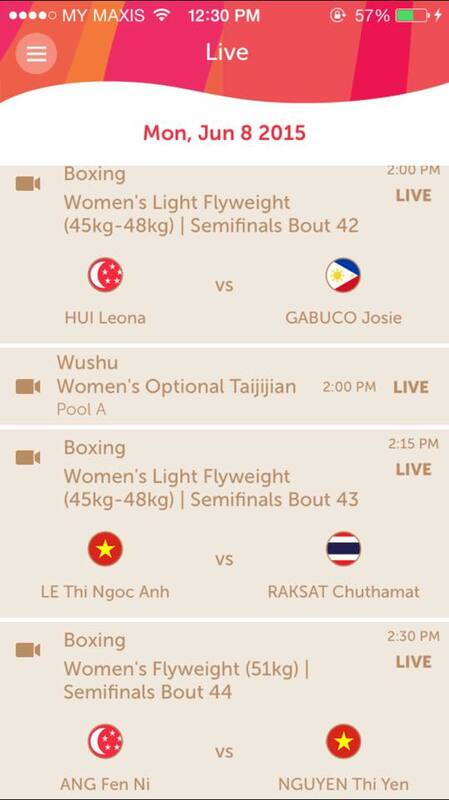 The Sea Games TV app is an interactive app that provides you the amenity of various exciting features such as ‘instant’ replays, gallery, news and multi-cam angles that complement your whole new Sea Games experience! With that, you don’t have to worry about missing the games since you could stream it LIVE at the comfort in and out of home. 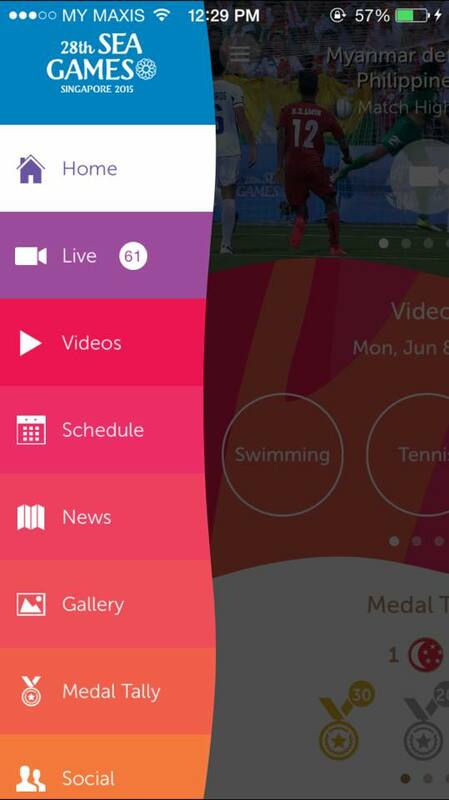 The LIVE streaming function also allows REPLAYS, something that watching it on TV can’t offer. I get to watch videos, keep myself updated with the latest news and updates, schedule and medal tally. There are also constant updates by the team on their social media platforms, Twitter and Facebook, so it’s really ALL-IN-ONE with just a swipe of my fingertips! What else do I need to say? With all the features above, it’s available without in-app purchases optimized at both iOS and Android devices. You can now download the app for free. There’s also a CONTEST now running with only TWO simple steps to follow and you might stand a chance to win one of the THREE Samsung Galaxy S Tablets. Email notification will be sent out to announce the winners after the contest closes. 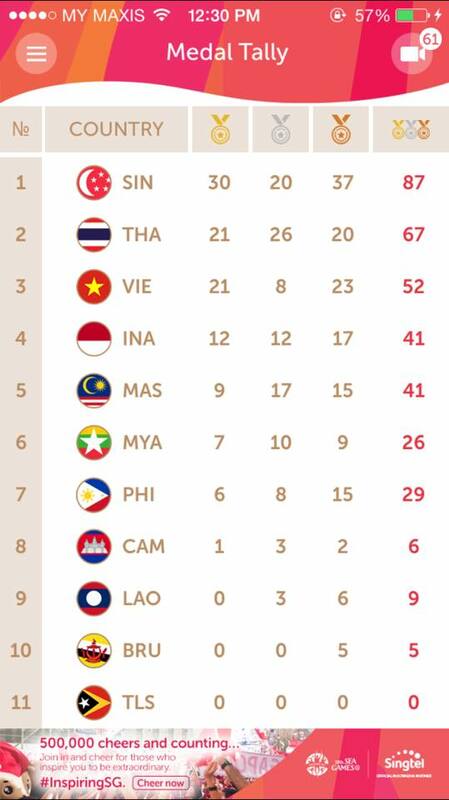 I’m obviously rooting for our Malaysian athletes in the SEA Games field because Malaysia Boleh!